Modern society has become a breeding ground of the narcissist, someone who has an obsessive interest in or admiration in themselves. We’ve all met one or perhaps know one. Rather than a long detailed analysis of the narcissist, let’s briefly look at the traits of what I have controversially called a mental health issue, before learning how to better understand and challenge one. The term ‘narcissist’ became more regularly used to describe a particular condition or character trait at the beginning of the 20th century. The narcissist believes they should be the centre of attention and expect others to do what they want in order to feel in control. A narcissistic parent will even require their own children to give up their own needs and feelings so they may serve the parents needs for control and what they want. This disturbing behaviour is why I adhere to my belief that it is a mental illness. The narcissist is the ultimate control freak, who is incapable and uninterested in anyone else’s point of view. It’s all about them and everyone around them also needs to be all about them. The following guidelines are a small part of what I teach within a section of our 7 courage courses called ‘The courage of self protection’ and is always a popular segment of the course. 1. The need to be the centre of attention is insecurity. The narcissist will always want to impress others during large or small gatherings. Let them do it. 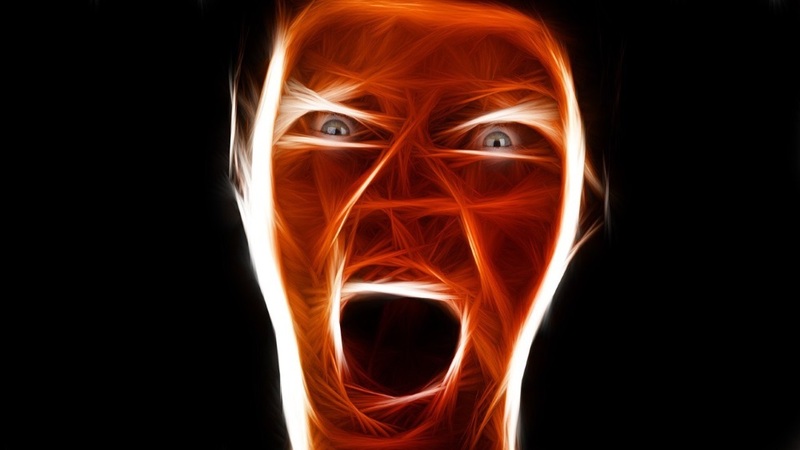 Release the need to be angry or frustrated at such behaviour as it really doesn’t matter. Believe me, the really intelligent people in any group will quickly see it it for what it is, extreme insecurity. A big misconception about the swaggering bravado of the narcissist, is that it is not a display of strength but one of weakness. They are extremely fragile and live life on the thinnest of foundations. Let them perform and reveal their own fragility. True courage and confidence doesn’t need to shout for attention. Not necessarily physical abusers but always experts at emotional abuse. I have been a coach for many many years now and seen grown children permanently walk away from controlling narcissistic parents and many marriage breakups because of the same condition. A narcissist can cause great fatigue, eventually wearing out those around them. Sadly, in time, many choose to cut such people out of their lives and this is at times necessary, due to the damaging influence they can have on their own lives. The narcissist will continually manipulate and bully to get their own way, making out they are the victim, whilst making those they abuse feel guilty and responsible. Emotional blackmail is their repertoire. The way to handle this is exactly the same as any bully, stand up to them and let them know you can see exactly what they are doing. Do it once and each time it gets easier. But, do not get into arguments. The narcissists love causing trouble and conflict. Keep responses short and if needs be, simply leave. This is especially useful if you are very afraid of the abuser which is highly likely. Short responses often coincide well with high adrenaline levels in the body. Later on down the line when you have the confidence to discuss in more detail a narcissists behaviour towards you, do so. But it will likely not work, so be prepared to cut it loose or become less attached and keep personal information from them as well as too much of your time and energy. The more they know, the more they will use it against you. 3. The need to give their opinion is to dominate. Another classic trait of insecurity. The narcissist will always give an unasked for opinion every where they go. It’s simply the need to be in control and receive attention. Knowing you are in the company of a narcissist, try to keep the responses short and to the point without sounding too aggressive. There is nothing wrong in saying: “If I want your opinion I will ask for it.” Or if this is too direct: “Thank you for the unasked for opinion, I will keep it in mind and let you know if I need more information.” Maybe they are both direct! Either way keep it short and do not let it develop into a full blown egotistical display of superiority. 4. How they describe themselves is generally the opposite of what they actually are. The narcissist will always speak of themselves in opposite terms of what they really are. This is a big clue when observing a known family or business narcissist or getting to know someone. Expect self-descriptions of honesty, truthfulness, empathy and integrity to be nothing more than a general expectance of the opposite. Consider if a display of real courage and confidence would regularly describe their own moral characteristics to those around them? They wouldn’t. And anyone that has had the privilege to study and be coached by real masters and experts will know they would never function at such a base level of the mind. The narcissist is an amateur mind pretending to be self-assured and confident. For anyone in the temporary or long term company of the narcissist though, this supplies excellent clues into their objectives and aims. Due to their own self-interest, the narcissist can never be trusted. Observe their own self-praise and you are observing the opposite. 5. It’s never their fault. The narcissist is completely irresponsible. It has been said in Eastern philosophy that the courage of responsibility is the toughest of them all and for the narcissist, it is the mental Everest of challenges. A difficult, but the most incredibly empowering decision we can make, is to take responsibility for our whole life and create and restore what we can from our circumstances but more importantly, our own actions in life. The narcissist generally hasn’t got this type of courage and instead will never take responsibility for their actions. They prefer to continually blame everyone else, even when people start to drop out of their lives they still maintain its not their fault. The narcissist will compose huge defensive letters, emails, social media posts and speeches justifying their actions yet this is normally an indication of how guilty they are and their attempt to desperately be seen as a highly moral person and the victim in the whole scenario. Trying to get a narcissist to see a point of view that doesn’t have their own personal interest and self gain is like trying to teach a fish to climb trees. The narcissist can become financially very successful in business and often this is their entry for demanding dominance, attention and praise from those around them. In Western forms of personal development, a sense of expectancy and feelings of being more entitled than anyone else or even anger or inadequacy are often described as positive fuels for creating success in life. I think this is overrated. What isn’t often referred to all the lives damaged and taken advantage of along the way and what does this mindset do to the immediate family? This is where we see a greater truth behind the character that performs in front of friends and will seemingly go to any lengths to support and help them (for their own emotional benefit). Instead, observe how the same character is with their immediate family and it is here we will find a greater understanding of their true character, behind closed doors where any egoic display with a low audience has little benefit. The narcissist cannot love beyond its own self-obsession. This is a tough one for people to swallow as they often tell me they have seen the narcissist upset but they cry primarily for their own pain, their own loss and not for others. The narcissist will mostly choose to maintain its own destructive ego than love those around them. Beware of the person that puts their friends before their own children and spouse and observe how they treat them. The narcissist preys on the timid, the vulnerable and the weak. Just as any bully will, it is essential they surround themselves with vulnerable people to feel in control and be able to openly manipulate for their own needs and not even have to hide it. Narcissists detest other narcissists. The world can only revolve around one chosen one! In time many family and friends grow weary being in the presence of the self-gratifying controlling narcissist and simply remove themselves from the negative environment they create. But what of those that stay to endure? To live regularly in the presence of such a mind? Having coached many individuals that have chosen to do this, but are clearly suffering themselves by having a narcissist in their life, I have heard a common description of why they support such a person. I often hear “I’m too compassionate and caring to challenge them?” “I don’t want to upset them.” “I believe in loving unconditionally and accept them as they are.” Yet, very quickly we establish that they simply live in an emotionally repressed fearful state and lack the courage to make a stand. It is really important to understand that those that don’t speak up against such an ego and passively go along with their actions, support it, expand it and actively encourage it. This is a case of driving a dysfunctional narcissistic mind deeper into itself by being a passive supporter. Is that compassion? Is that caring? No, it’s fear and this fear is not harmless, it degrades both the narcissist and the person present. To really serve the narcissist we need to stop feeding it. It needs to be challenged and exposed regularly and preferably in a non aggressive manner because beneath the act, it is highly fragile. Compassion is not as it is mistakenly portrayed, passive, non-action and over sentimental but entwined with justice, challenging and to serve without needing to let the person know you are serving them. The narcissist will never see that those that challenge them are actually serving them but it doesn’t matter because the opposite does far more harm. We may not be able to cure the narcissist but we can stop feeding them. This brings us to a conclusion of how does the narcissist change themselves? Unfortunately it is rare, especially if they have lived this way for decades. Sadly they end up suffering, yet even when this mental suffering becomes intense and breaks through this charade of behaviour through bouts of depression, it can still prevail. It continues to see the world as a direct reflection of themselves, accusing others of the exact behaviour they themselves portray, as they can only see their own madness. The narcissist even accuses others of being narcissists, unable and unwilling to have the courage of seeing themselves as they really are. And it is in the undiluted totally honest observation of oneself, that remains the only way out of the delusional narcissistic mind. Incredible Simon… Wow… I am learning soo much from yourself and my trauma and abuse therapist and the Freedom Programme about these people… Scary, but we need to be informed, acquire knowledge as that is power and to gain awareness and be discerning ….